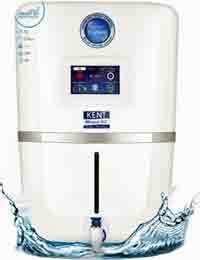 We introduce the top of the line water purifiers in India from the leading water purifier brands in India. Each of these top most water purifiers will be among the most advanced water purifier in India and also among the most expensive water purifier in India. 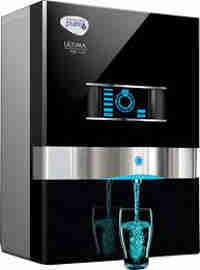 Each of the top model water purifier from the best water purifier brands will be the costliest water purifier in their range. 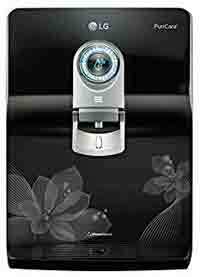 These water purifiers are not for those looking for cheap water purifiers but the very best water purifiers in India without consideration of the price. Water from Municipal taps, overhead storage tanks, water tankers. RO + UV + UF + Mineral modulator, G Tech and G Flush Technology, Electronic Membrane Life Enhancer (EMLE) and LED display and water level sensor, AEWACS alert when system requires maintenance or replacement. 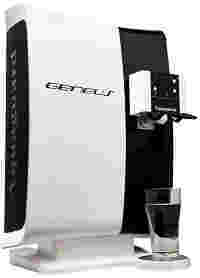 India's first RO water purifier to give Hot, ice cold and room temperature RO purified water. 5 stage RO+UV water purifier with Aqua Taste Booster (ATB) which is a post RO taste enancer cartridge which adds purified minerals to the RO water instead of mixing RO reject water with high unknown chemicals. 100% pure RO drinking water with essential minerals. High rejection RO membrane abe to handle higher TDS and give purer water than normal home ROs. Anti-stagnant Ripple Technology to prevent slime formation on tank internal surfaces. 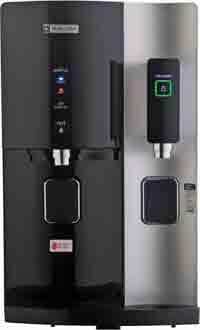 Warning for filter change, touchscreen and smart selection of 1 glass or 1 liter of water. RO+UV+UF+TDS Smart RO Water Purifier, with KENT's Mineral ROTM Technology, interactive touch screen display to monitor RO flow rate, balance filter life, RO pump status, time, real-time monitoring of purity, performance and service history, etc. RO+UV+Digital Sterilizing Care with Dual protection Stainless Steel purified water storage tank and 100% RO purified water, RO water passes through special cartridge filled with pure minerals to add pure essential minerals - RO reject water is not used to add minerals to water. Filter change and UV sterilizing indicators. Separate water for drinking, cleaning fruits and veggies. Digital Sterilizing Care is LG special technology with electrolysis to turn tap water into a disinfectant to clean the water purifier periodically. A second water valve at the side of purifier tank makes it possible to draw RO water to rinse vegetables or to wash hair, etc. 6 stage RO+UV water purifier with Oxyblast technology which gives in addition to RO purified water also gives ozonated purified water to wash vegetables and fruits to remove chemicals and pesticides from its surface. 100% RO purified water, adds minerals post RO purification with RO water passing through special cartridge filled with pure essential minerals. RO waste water is not used to add minerals to pure RO water.